Death Road. Just As Scary As It Sounds. Adrenaline junkies and adventure enthusiasts, this one’s for you. While the rest of us are squeezing the life out of our partner’s hand, unwilling to jump out of that plane or jump off that cliff, you’re already having the time of your life. You’ve skydived, repelled down mountains, bungee jumped off buildings and are now in search of your next thrill. 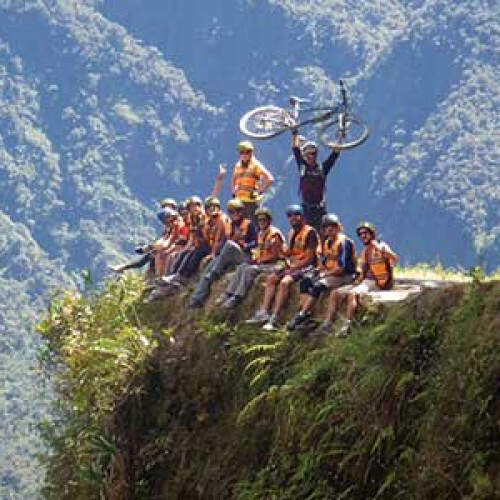 Well, look no further than Bolivia’s infamous Death Road. With a 15,000 ft descent, sheer drops and a record of 300 deaths per year; this road is not for the faint heart. 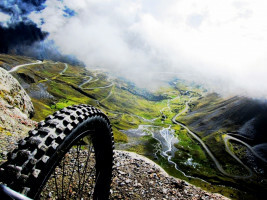 The iconic 40-mile journey takes you through cloud forests, past stunning views of the Andes (assuming you’re looking at anything but the bike handles) and attracts more than 20,000 bikers annually for a death-defying ride in Bolivia. What Will My Death Road Adventure Have In Store? 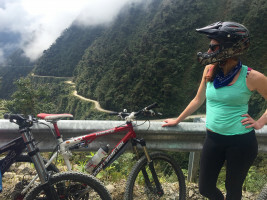 On this tour, you’ll start at the scenic La Cumbre before rapidly descending down Death Road--stopping only for water breaks and photo opportunities. Your trip is accompanied by experts whose coaching and supervision will ideally keep you from careening off the side of a cliff like a cartoon character. It’s a once in a lifetime experience for the cycling daredevil. As for me, I’m just fine riding my stationary bike at Spin Class. Next-level adrenaline fix for the adventure junkie. 15,000 ft descent with sheer drops. Spectacular landscapes and views of the Bolivian Andes. Not for the faint of heart! Truly prove your mettle.